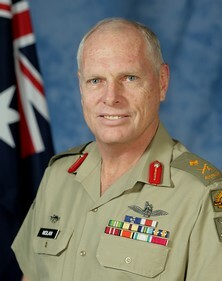 In April 2004, Major General Molan deployed for a year to Iraq as the Coalition’s chief of operations during a period of continuous and intense combat. In this position, he controlled all operations of all forces across all of Iraq, including the security of Iraq’s oil, electricity and rail infrastructure. This period covered the Iraqi elections in January 2005, and the pre-election shaping battles of Najaf, TalAfar, Samarra, Fallujah, Ramadan 04 and Mosul. For distinguished command and leadership in action in Iraq, Major General Molan was awarded the Distinguished Service Cross by the Australian Government and the Legion of Merit by the United States Government. Major General Molan has a Bachelor of Arts degree from the University of New South Wales and a Bachelor of Economics degree from the University of Queensland. He maintains an interest in aviation and holds civil commercial licences and instrument ratings for fixed and rotary wing aircraft. He is also a Fellow of the Australian Institute of Company Directors (FAICD) and is accredited as a Master Project Director (MPD). In August 2008, Jim published his book “Running the War in Iraq” which has been a best seller. Harper Collins is about to publish a second edition. Major General Mike Hindmarsh graduated from the Royal Military College, Duntroon into the Royal Australian Infantry Corps in 1978. As CO SASR, Major General Hindmarsh commanded the ANZAC Special Operations Force detachment to OPERATION POLLARD in Kuwait in 1998. In 2003, as Deputy Commander of Special Operations Command, he commanded the Special Operations Component on OPERATION BASTILLE/FALCONER in the war against Iraq. Upon promotion to Major General in October 2004 he assumed overall command of Australia’s Special Forces and presided over an intensely busy operational period which saw Australian Special Forces soldiers committed to operations throughout the world. 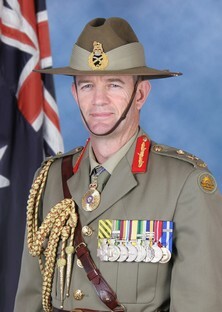 He held this appointment until January 2008 at which point he was deployed to the Middle East for 11 months as the overall commander of all ADF forces in Iraq and Afghanistan. Upon his return in January 2009 he took up the appointment of Commander Training Command – Army until his retirement from the Defence Force in September 2009. • Land Warfare Centre, Canungra as Brigade level tactics instructor. Other notable appointments include a posting as Military Assistant (MA) to Chief of Army and as the Colonel Plans at Headquarters Australian Theatre where he was the lead operational planner for all of the ADF’s operations in 2000 and 2001. These included, amongst others, ADF commitments to Timor-Leste, the Sydney Olympics, the Solomons and Afghanistan. Major General Hindmarsh is a graduate of the Australian Command and Staff College, Queenscliff, the Joint Services Staff College, Canberra and the United Kingdom Royal College of Defence Studies (RCDS). Major General Hindmarsh was awarded the Conspicuous Service Cross (CSC) in 1999 for his performance as Commanding Officer of SASR. In 2004 he was appointed a Member of the Order of Australia (AM) for his command and leadership on operations in the Middle East in 2003. In January 2008 he was elevated to an Officer of the Order of Australia (AO) for his command and leadership as Commander Special Operations Command, Australia. He was awarded the Distinguished Service Cross (DSC) in 2009 for his command and leadership on operations in the Middle East in 2008. Major General Hindmarsh is married to Deb and they have three sons. Major General Hindmarsh enjoys rock climbing, bush walking and rugby union.